The most common is aluminum capacitors. It is also the cheapest of the two. Aluminum caps usually come as through-hole components. But you can find some surface mount versions of it as well. Choose aluminum caps unless you have any special requirements. 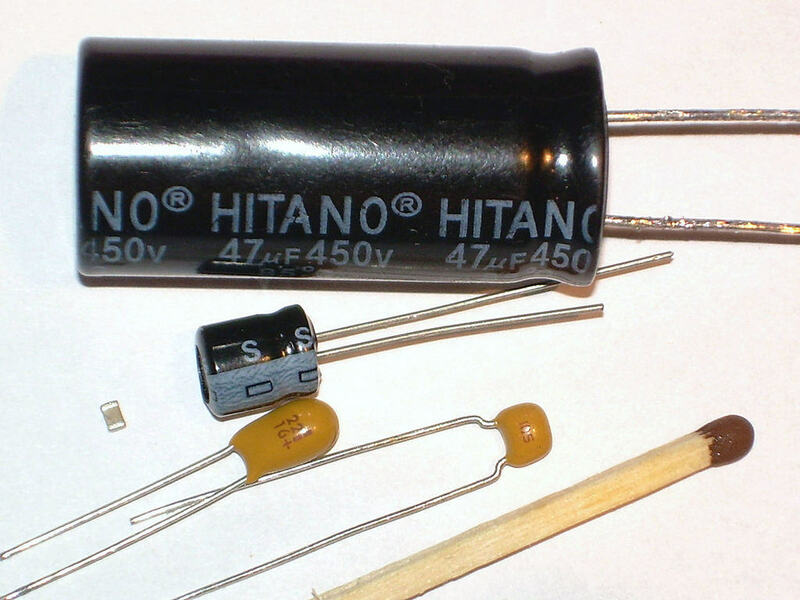 There are a few other types of capacitors as well, but the above ones are the most common. You use other types only if you have any special requirements. For example if you need a capacitor with very high capacitance, you need a supercapacitor. Hi. The topic served to be a fine read although I think it could have been more elaborative , especially, highlighting the voltage range within which each type of the capacitors mentioned herein can be used. Hello, I was wondering if you could help. I have a DJ system and I’m getting a snap/pop through my speakers when I turn on one brand of LED lights “American DJ” but not out of the other brand LED “Chauvet” it also happens when my American DJ haze machine turn on or off. Ive been told if I put Ceramic Disk Capacitors across the hot and neutral that it would go away. If this is true what size of Ceramic Disk Capacitors do I buy? Everything is 120volts AC. Hey! Yeah a capacitor will help. But I don’t which size from the top of my head. But you have to make sure it has a high enough voltage rating. BTW – don’t mess with the 120 volts if you don’t know what you are doing. Normally its’ a Resister to Diode design however, a clicking sound says a dirty Contact Connection at the Switch to me, or a cold solder joint at the Diode itself. An LED normally will not cause this sound on its own. I would have liked more information about the different types of capacitor, and what situations they are most suited to. For example, which make the best decoupling caps in digital circuits? Why choose a tantalum in preference to an aluminium? Why choose a polystyrene film instead of a ceramic? What is the different between single layer ceramic and multi-layer ceramic (from a performance point of view). Etc. What type of capacitor did you use? Capacitors of that size (2 millifarad) are usually polarized. Since you are saying yours was non-polarized I’m thinking that it could have been some confusion there? Ah ok. 2µF sounds more likely to be non-polarized. Unfortunately I don’t have any experience with capacitors for motors, so I can’t really say if the capacitor is the correct type or not. I’ve seen some you tube designs which don’t explain how the value of the components are relative to one another which would be important to important to make sure they are all compatible. Do you think you could help me with this. Hi. I recently took the OEM LED turn signals out of the mirrors on my 2016 F 150 in order to fabricate a pair of dual color emergency LEDS. The warning color (red) is of course fed by my emergency warning system, and works great. The other color is amber which I used to replace the turn signals. The problem I am having is the momentary burst of 12v power the OEM circuit isn’t staying energized long enough to allow the LED to fully cycle at it’s rated intesity. They just flash very quickly. I am thinking of adding a small cap in the line to provide like an extra 500ms to 1 sec of power to allow the LED to completly cycle. Does this sound viable? I take it, it worked just fine with the original ones .. right? What is the most durable capacitor and how many hours may it work? so that is great if you are working off a schematic – but what if you are trying to prototype something? Then which do you need, a polarized or a non-poloarized? A tiny bit more about why each is chosen would help the article a great deal . If you’re not sure, use non-polarized if you can find one. If you need a large capacitor value, you won’t find non-polarized, so then you have to use a polarized one. 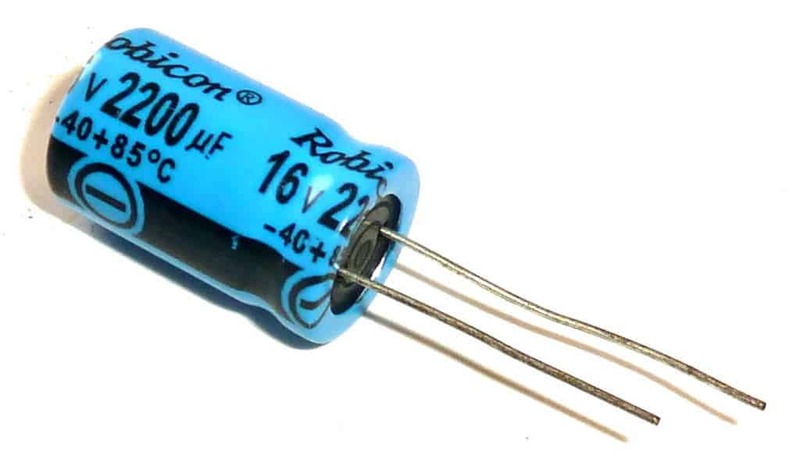 I need to replace an old capacitor which reads 10M 25V, I cannot find anything online that fits that description. Any help would be greatly appreciated. If you install an electrolytic capacitor wrong way around it will remove the oxide on the plate that makes it a capacitor and ruin it.